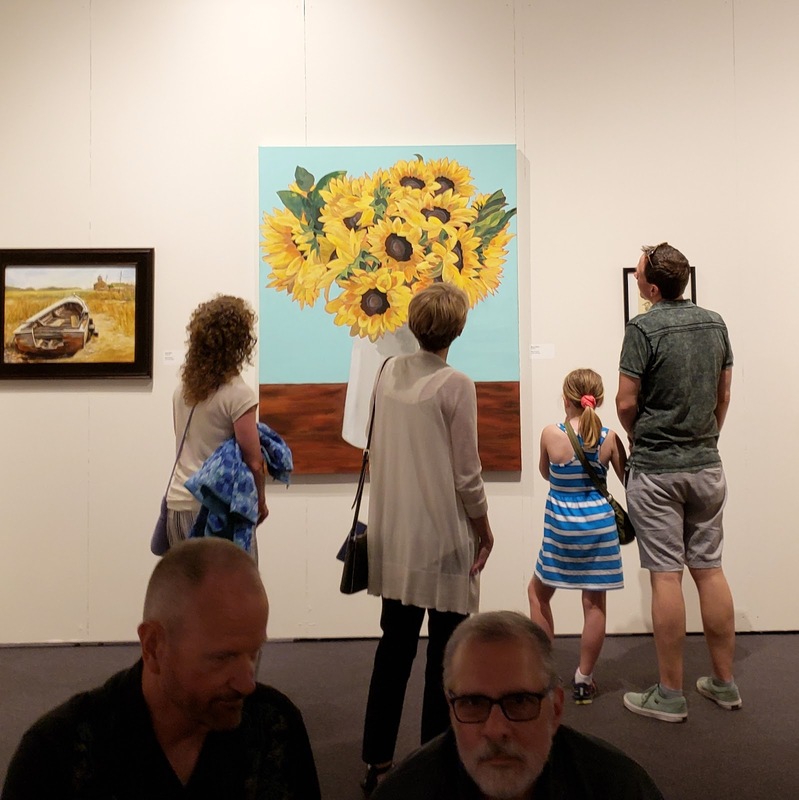 On a hot summer day in late June, 103 artists and their guests gathered at The State Museum of Pennsylvania in Harrisburg to celebrate the opening of the 2018 Art of the State exhibition. Art of the State is recognized as the official, statewide juried competition for Pennsylvania artists. 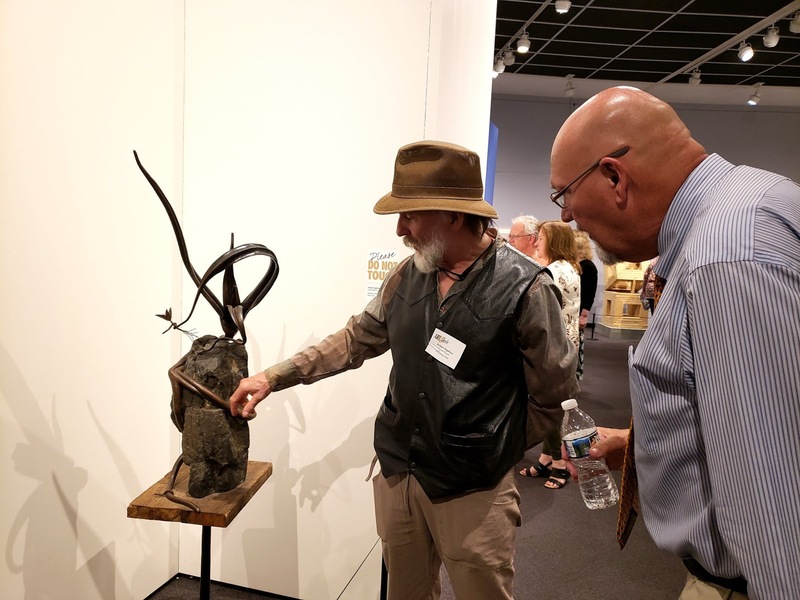 This year jurors selected artwork from five categories: craft, painting, photography, sculpture and work on paper. 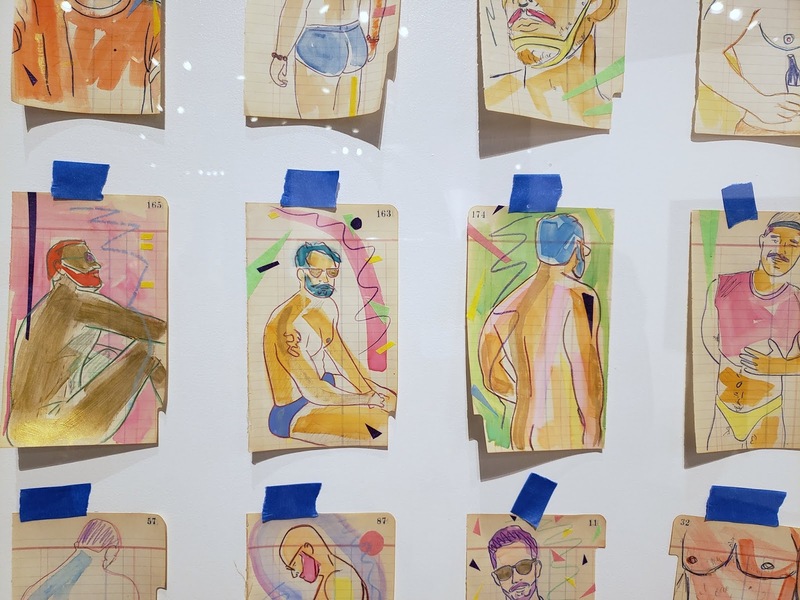 There were 103 works chosen for the exhibition from 1,850 entries. 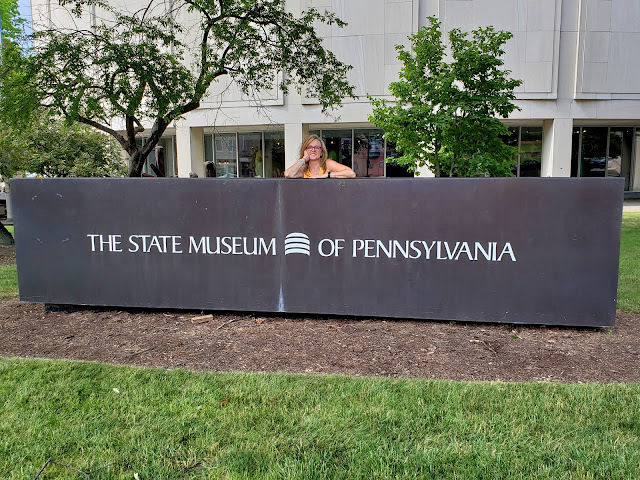 Huge thanks to State Museum Chief of Exhibits, Michele Ensminger, and State Museum Curators, Amy Hammond and Carol Buck for making it happen! For a complete list of participating artists, click HERE. I am thrilled that my 48" x 60" sunflower painting, "Showstopper," is included in this prestigious show that runs through September 9, 2018. 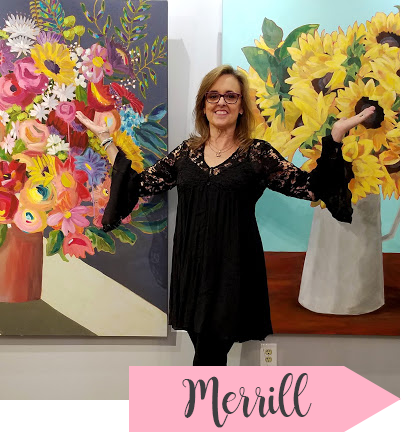 You can see more of my paintings HERE. 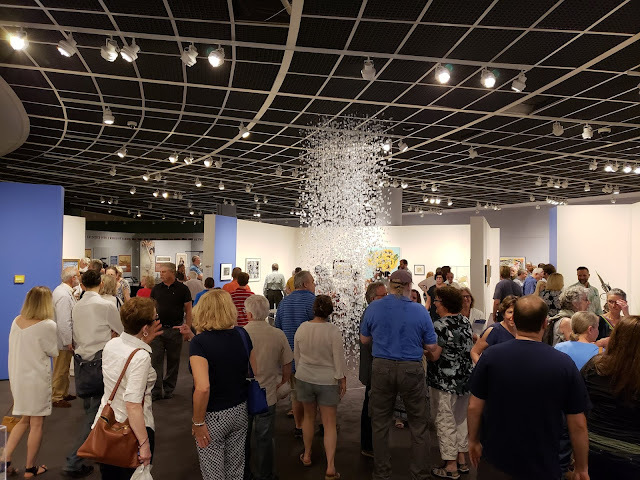 The opening reception started with an awards ceremony in the auditorium where the 103 participating artists posed for a group photo. Following the ceremony, we stopped for reception snacks, which included the Guiness Book of World Records contender for the largest quantity of Buffalo chicken dip served at a single event. Seriously. At least 100 pounds of the stuff. Then it was off to the gallery to see the exhibition. 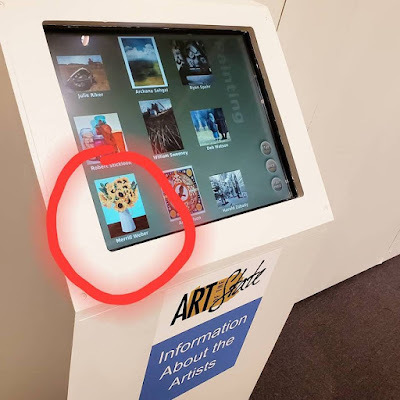 You know the touch-screen kiosks in museums? Cool, right? Montgomery County artist, Maria Maneos, was awarded the State Museum Of Pennsylvania Purchase Award for her sculpture "5535-2017" that brings awareness to the 5,535 opioid and heroin deaths in Pennsylvania during 2017. We are all so appreciative of Maria for giving our victims a voice. Watch PennLive's video below to learn more about Maria's moving piece. 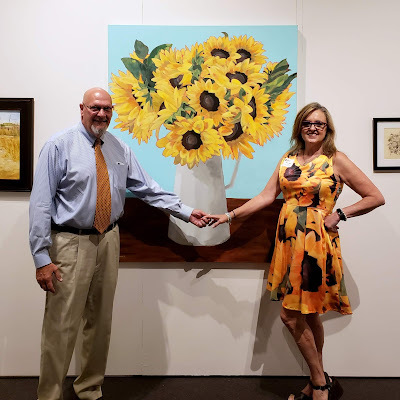 You'll see my huge sunflower painting at 1:27! I tend to gravitate to works that are out of the ordinary. 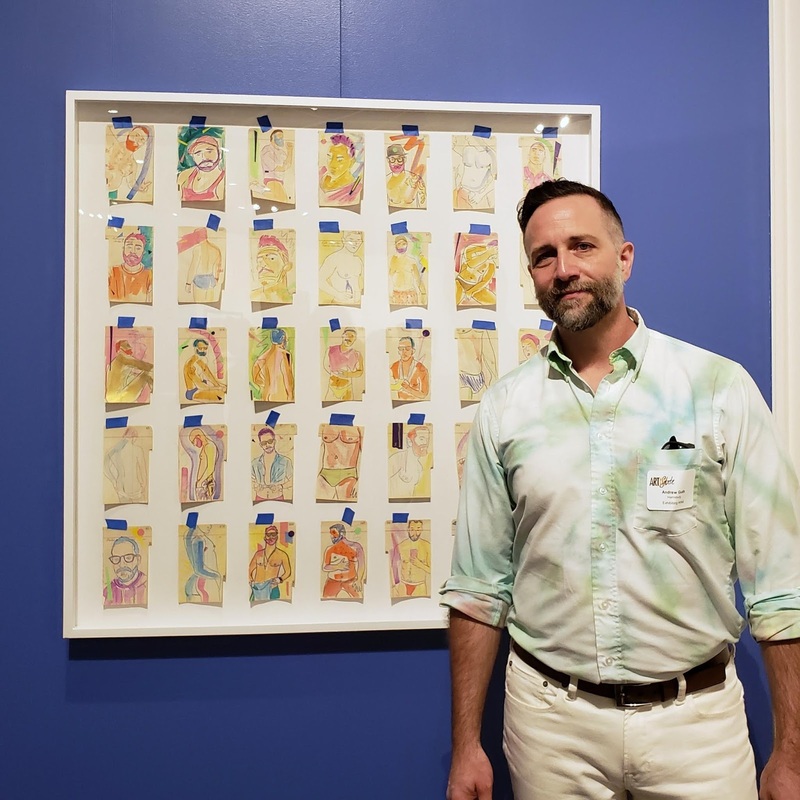 Harrisburg artist, Andrew Guth, won my creative heart with his piece, "We Know Each Other But Have Never Met (Follow for Follow, Like For Follow)." Even at drop-off, which I talk about HERE, I bee-lined it to his piece because it was cool and different. He asked his Instagram followers to share photos of themselves, which he then drew and painted on 1930s paper. 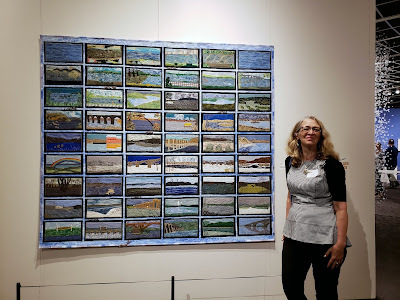 Columbia fiber artist, Sue Reno, spent a year creating her beautiful needlefelted quilt, "50 Ways to Look at the River." 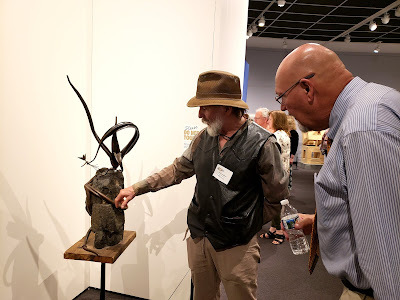 Chester County artist friend, Rob Sigafoos, chatted with my beloved about his metal sculpture, "Planting Time." 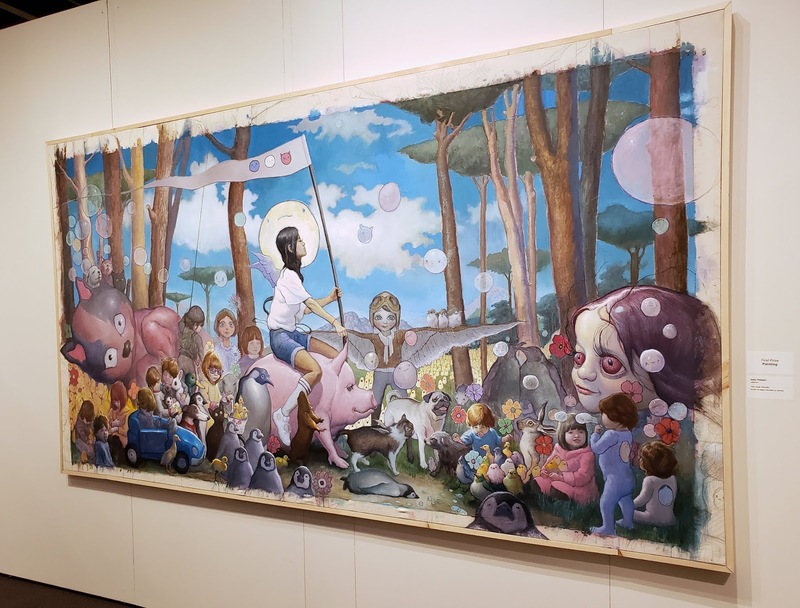 Lebanon artist, Isaac Pelepko, took home first place in painting for his 66" x 120" narrative acrylic painting, "The Cute Parade." The opening of the Art of the State exhibition was a magical day, filled with family, old and new friends and fabulous art!